Remembering Marion Sue Vaughn Forshee | Remembering Marion Sue Vaughn Forshee | De Soto Obituary Search | Dietrich-Mothershead Funeral Home, Inc. Remembering Marion Sue Vaughn Forshee | De Soto Obituary Search | Dietrich-Mothershead Funeral Home, Inc.
Marion Sue Forshee was born June 12, 1935. She was the daughter of Henry and Dora (nee Cole) Vaughn. 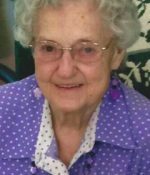 She passed on January 16, 2017 in Scottsville, KY at the age of 81 years. She is survived by one son, Steve Forshee, Madison, TN; several nieces and nephews including Dale Haverstick of Hillsboro, MO; dear friends, Jane Berry, and Ray, Janis, and Joshua Steele all of Scottsville, KY. She is preceded in death by her parents; her husband, Bill Gene Forshee; four sisters, Lavonia Haverstick, Bernice Reynolds, Elsie Boyer, and Elizabeth Krodinger. 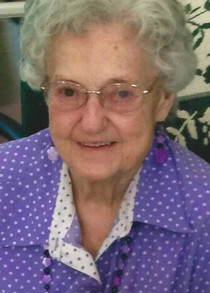 She donated many charity quilts to the Cruiser Quilt Project, was a member of Meador Homemakers and had served as a volunteer for the Medical Center at Scottsville. She especially enjoyed John Wayne movies, humming birds, and anything purple.